Everyone is carving their way in the online hierarchy. Some are building online empires, while others are just content in making a scene. If you’re building an online empire, regardless of the niche, there’s a chatroom tool that you can use. This tool appears in the form of a chat box, provided by Chatwing.com. Embedding the chatroom app will only take few seconds. You won’t encounter hassles, and you’ll be able to create a chat box right away. In the creation process, you can mix colors and font styles. There are also free background images to choose from, if ever you don’t want to design the chatroom. Now, you probably know that building an online empire proves to be a challenge. 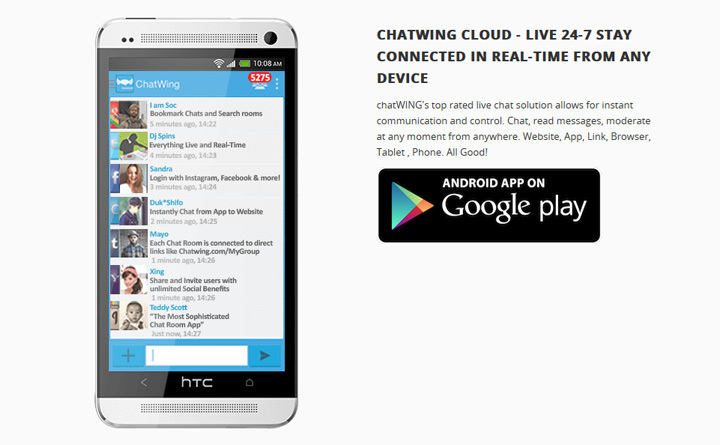 Chatwing chat software carves that difficulty level down by enhancing website chat. Once installed to a website, your visitors will be able to communicate with each other and share their thoughts and opinions. This is one of the best ways to win people and clients in the long run. You can also improve your web exposure in this way. Every created Chatwing shoutbox has social media advantage. Basically, all your visitors can log in with their Facebook and Twitter accounts. Google, Instagram, Tumblr, and Yahoo accounts are also allowed. Recently, Chatwing.com has added VK—also known as the Russian Facebook. Social media marketing is now easy with the Chatwing tool. You won’t get big results in just a day. Like everything else, Chatwing chat app is all about repetition. With continuous usage, you’ll be exposed to hundreds of people who can become your long-term clients. Nick is an active web developer and technology enthusiast who believes in the power of communication. It is these core principles that drive Chatwing and online chatting. Howdy, welcome to the brand new web design, development and e-business blog by Eduard Jovanović, designer, developer and founder of reSabi Media. I hope you'll enjoy reading this blog, and I'll appreciate any feedback. Copyright (CC:BY-SA) 2015. Some rights reserved. reSabi Media service.